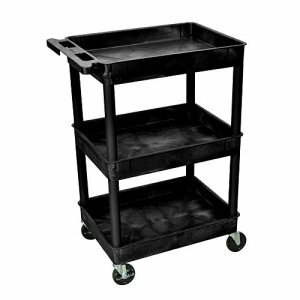 Black Luxor STC111 heavy duty three tub shelf plastic supply / utility cart. Includes 4 inch casters, two with locking brakes. 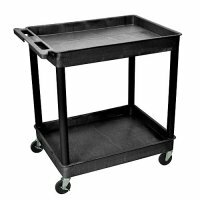 The tub shelves are 2 3/4 inches deep and keep items secure while transporting or storing. 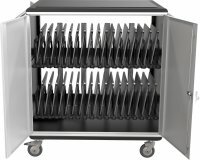 Dimensions: 24"W x 18"D x 40 1⁄2"H. Clearance between shelves 12". Top shelf width including handle 27"W.